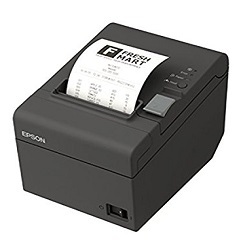 An efficient business begins with Epson’s TM-T82. With Epson’s advanced printing technology, discover reliability and functionality that ensures an easy printing solution for all users. Designed with an adaptable mounting capability, the TM-T82 allows for versatile placement even in the smallest environment. Make the TM-T82 the perfect companion for your business today.